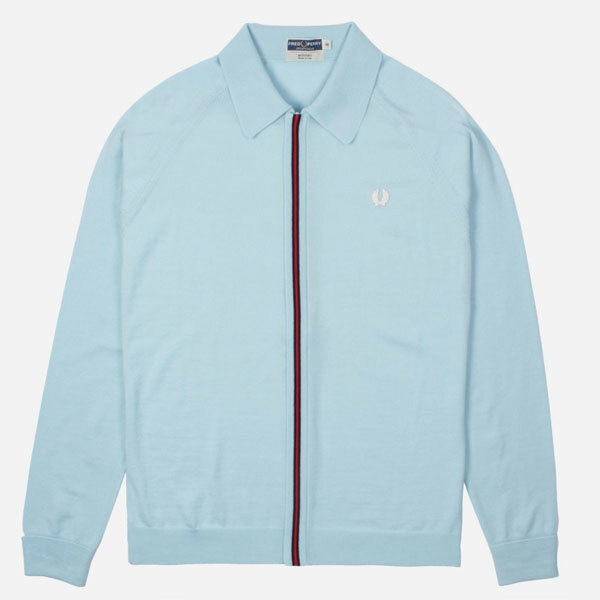 Something of a departure for the label, but I do like the look of this Fred Perry zip-through Italian knitted cardigan. 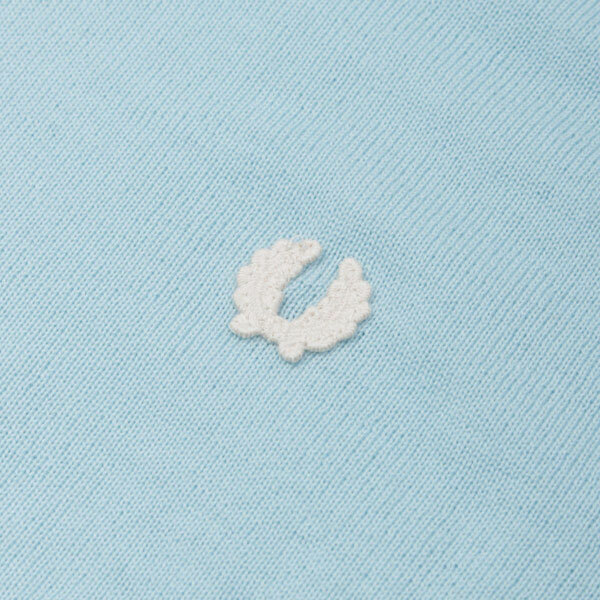 This is part of the Fred Perry Reissues range and as such, is based on something from the Fred Perry archive. Only I’m not entirely sure what. It looks like it might be some kind of ‘off court’ tennis knit at first glance (if you ignore the colour). Possibly the kind of knit some hip young thing would be wearing around a Mediterranean resort back in the 1960s. It definitely has that vibe going on. But whatever its past, this looks good in the present. In fact, this is the ideal knit as the weather gets a little warmer, working both on a smart or casual level (but probably more of the latter). 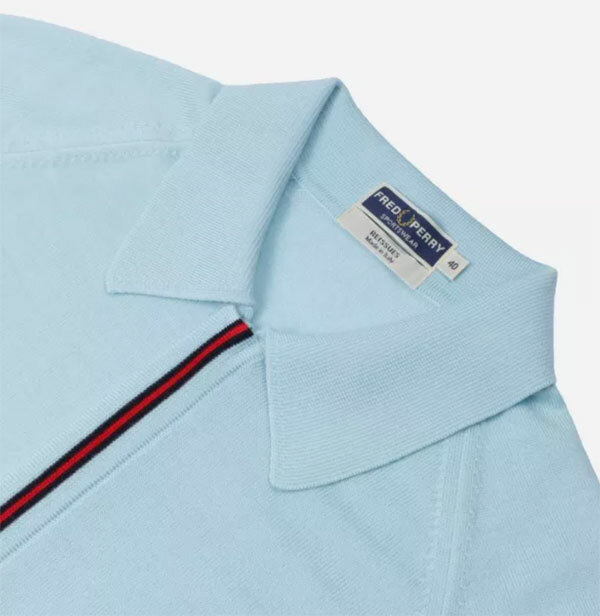 The top is, as the title suggests, made in Italy and made of a lightweight merino wool. 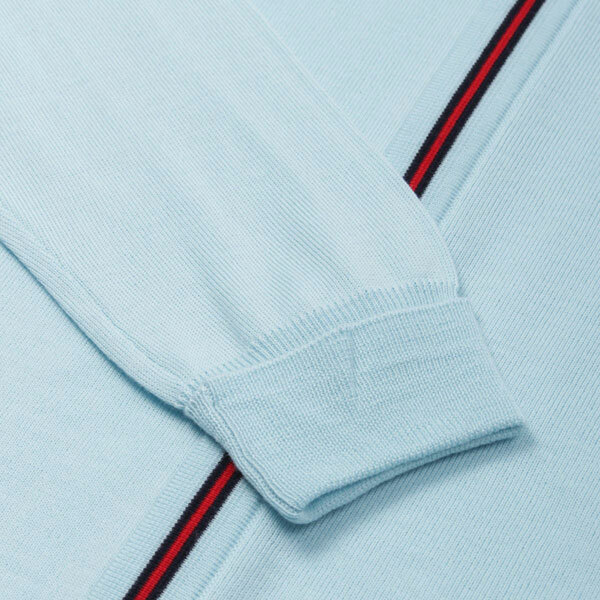 It’s also detailed with a concealed zip with a red stripe design, raglan sleeves, ribbed trims and of course, a premium Fred Perry Laurel Wreath finishing things off. Not a cheap one at £175, but definitely a smart one.